Initially, Sprague was temporarily paralyzed after his accident. Thanks to stem cell treatments, he now works out every day in the Prime Inc. gym. 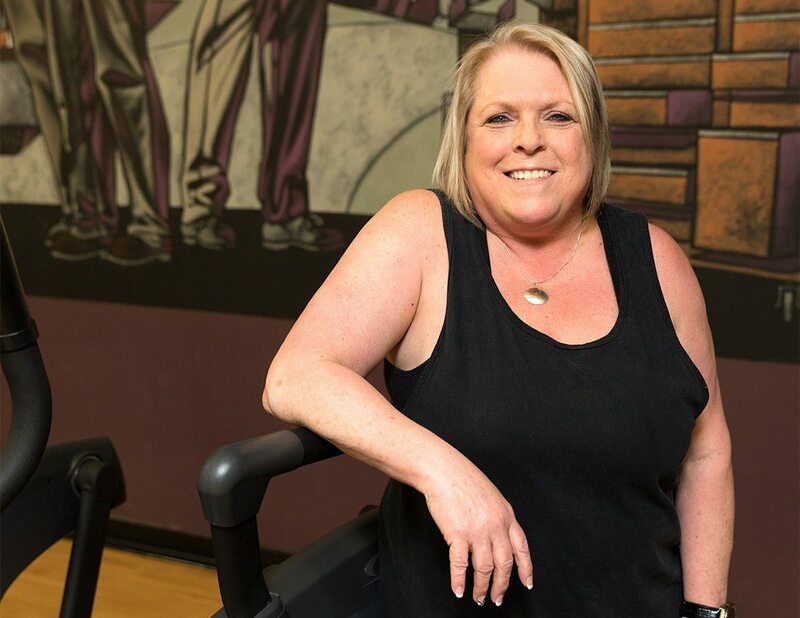 Patty Hicks’s torn rotator cuff would have taken three months to heal, but after an injection and six weeks of therapy, she has healed completely. 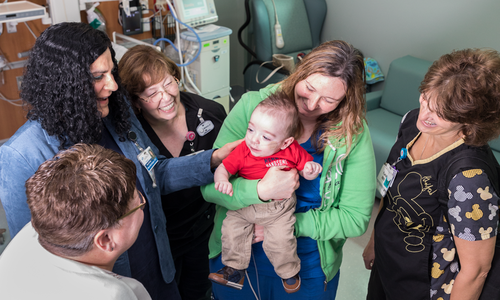 Photos by Brandon Alms Sometimes the life-saving work done by local physicians can seem miraculous. Dr. Jeremy Reed is one of those physicians. Through stem cell treatments, he’s managed to help his patients eliminate discomfort and expedite recovery time. Bill Sprague will tell you his injury could have been avoided. The line between confidence and arrogance becomes inverted the closer you get to 10,000 hours skydiving. The maxim “aim for the trees,” is sound, but pride clouded Sprague’s judgment as he realized he was approaching the ground so quickly his parachute couldn’t help him. Sprague landed past the trees, and the impact twisted his left foot like a wrung-out towel. The injury forced him into five surgeries over 10 years and through nights where he had to crawl on his knees to get to the bathroom. The precautions and safety measures for skydiving are as stringent as the activity requires them to be, but Sprague wasn’t just a normal skydiver that day in 1998 when he and other licensed skydivers were jonesing for a jump. The wind was foul that day, and the decision to jump was a judgment call, much like a surfer chasing waves before a storm. Sprague and his contemporaries decided to execute what’s called a cross-country—when the wind carries skydivers in an open parachute back to home base. But once out of the plane, Sprague realized he wasn’t going to make it back to the airport. He had two landing options: a tree and an open field. The tree would have braced his impact, but there was pride involved. Sprague admits he probably should have landed in the tree, but he chose the field. He came barreling toward the ground, and “bounced.” He remained conscious, but he was immediately paralyzed from the waist down. Once he was removed from his parachute, he regained feeling, but he wasn’t out of the woods yet. “I completely destroyed my left ankle, shattered the leg, broke numerous ribs, cracked my sternum, broke my back [and suffered a] severe concussion,” Sprague says. In a haze at the hospital, Sprague remembers a doctor asking him to sign a form allowing them to amputate his leg. He refused. It was a risky decision and one that sent him on a long and often stagnant road that ended in the closest thing to recovery he could’ve hoped for. After his accident and before he got better, Sprague often had to consciously decide whether to exert himself and commit to spending the next day in excruciating pain. Things got worse, and the limited options he had were less than appealing. For several years, he gave up trying to get better. But his daughter’s birth was a flashpoint. He wanted to be able to do the things dads get to do with their daughters without the threatening cloud of pain constantly hovering over him. He went back to the hospital and was given two options: fusion or amputation. The former means patients have what is essentially a club foot; the latter leads to no foot at all. Sprague didn’t like either option. Desperate to get better, he turned to his employer, Prime Inc., for help. The in-house doctor, John Abraham, suggested Sprague visit Innovative Sports Medicine. Dr. Jeremy Reed and Innovative Sports Medicine specialize in stem cell treatments, where cells and fatty tissue are taken from one part of the body and injected into the injured area. Reed told Sprague that nothing he would do could make him feel worse. That sounded good to Sprague. Now, he feels the best he’s felt since the accident. Twenty years later, Sprague can run; play with his daughter, Samantha; and walk around the mall with his wife, Vanessa, with little to no pain. Reed and Innovative Sports Medicine have worked similar magic on other 417-landers. 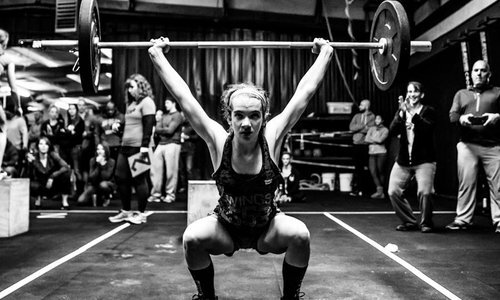 When Patty Hicks tore her rotator cuff lifting weights, she was faced with a surgery that would have resulted in a lack of full motion and a long recovery process. As she faced the prospect of a non-fully operational shoulder, she sought out the same treatment as her Prime Inc. colleague Bill Sprague. Once again, Abraham suggested she go see the doctors at Innovative Sports Medicine. Now it’s as if she hadn’t suffered the injury at all. Reed is a native 417-lander and serves as the founder and director of Innovative Sports Medicine. He looks for alternative ways to tackle what seem like career-ending or life-altering injuries. Presenting non-surgical interventions and regenerative medicine techniques—including stem cell treatments and platelet-rich injections—Reed and Innovative Sports Medicine give patients like Sprague and Hicks a second lease on life. 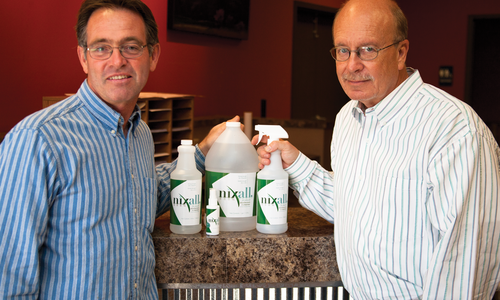 Business partners Kip Glass and Cap Briant found a way to stabilize electrolyzed, oxygenated water, creating a product called Nixall. 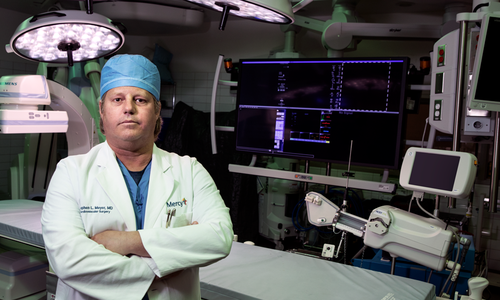 Dr. Stephen Meyer at Mercy Joplin has been treating cardiovascular patients the same way for 18 years: with no room for doubt.